Purchase fresh saba that have firm, glossy skin and clear, shiny eyes. Saba -- or mackerel -- is a fish that’s small in size but big on flavor, possessing a bold, rich taste accompanied by a delightful creamy texture. This oily, firm-fleshed fish is considered a delicacy and is often eaten raw in sushi, but is also excellent when cooked. 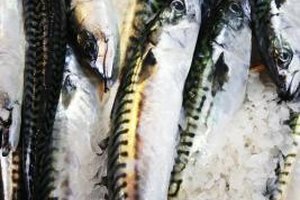 Grilling and oven-roasting are popular preparations, as is pairing mackerel with bold seasonings to complement their richness. Look for fresh mackerel -- either whole or filleted -- at the height of their season during the summer months. Preheat your grill to a high heat. Oil the grill grates with olive oil or cooking spray to prevent the fish from sticking. Rub the saba fish fillets with a small amount of olive on both sides and season to taste. Season simply with salt and pepper or rosemary or experiment with bold spices and acidic flavors like lemon juice. Add the saba fish fillets to the grill, skin side down, and cook for 3 to 4 minutes. Flip the fillets and continue to grill for 3 to 4 minutes or until the flesh flakes easily with a fork. Remove the saba fish from the grill and serve with steamed rice, roasted potatoes or a fresh garden salad. Preheat your oven to 350 degrees Fahrenheit. Rinse the whole saba, inside and out, under cold running water. Pat dry with paper towels, both inside and out. Rub a small amount of olive oil over each fillet and season to taste. Try seasoning with salt and pepper, herbs like rosemary and thyme, mustard, garlic salt and lemon juice. Season the inside cavity of the fish as well so flavor is imparted from the inside out while it cooks. Grease a baking dish with cooking spray or olive oil and arrange the saba fish inside. If desired, bake the saba fish on a bed of scallions or fennel. Bake for approximately 20 minutes, or until the fish flakes easily with a fork. Serve with fresh lemon wedges, if desired. Saba fish pair well with spicy, acidic and Asian flavors. Try seasoning with spicy peppers or red pepper flakes, lemon or lime juice, or ginger, mirin and sake. Pair with a mustard vinaigrette, chili jam or rhubarb chutney. 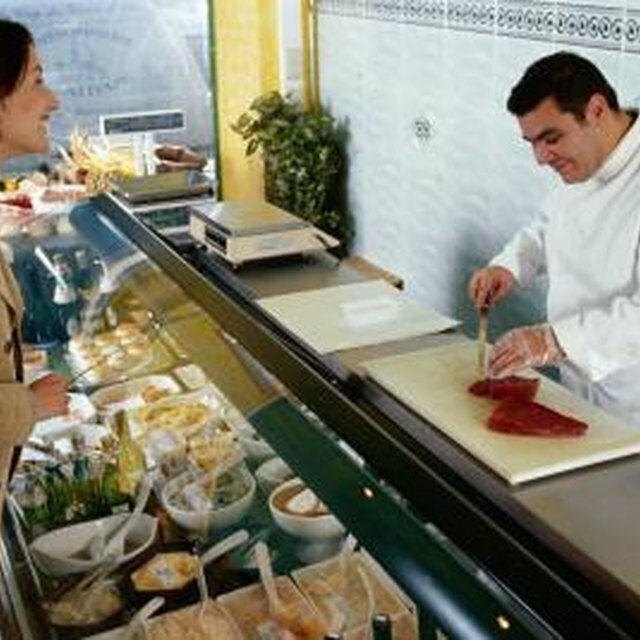 Consumption of undercooked fish can result in a foodborne illness. Insert an instant-read thermometer into the thickest part of the fish. When the thermometer reads 145 F, it's done.